When we started our business in about 2003, the main thought was “with all the pride in Buffalo, why hasn’t someone done shirts to show the Love of Buffalo, much like the love of New York City has been done”…because frankly, nobody was doing it…so we came up with our trademarked design….which we expanded to cover the love of all things Buffalo, in culture, in heritage, and in sports….continually striving to provide quality products that are timeless and classic…the ones you see with your friends and say “I want THAT one..”…….fast forward to ten years later….seems like there are a LOT of other companies trying to do what we did….the imitation is flattering, but like imitation shoes, you are going to want to stick with the original here…. Please email us directly with any inquiries at "store@celebratebuffalo.com"
Q: When will my order ship and how long does it take? Q: Are there taxes? Is tax included? A: If the shipping address is in the state of NY, we are required to charge NY sales tax. The fee will be added to your shopping cart when you enter your address where applicable. Q: Do i need to have a Paypal account to pay with Paypal? A: No! Paypal secure checkout does not require an account, just a credit or debit card, or paypal funds if you have one! Q: Can I find these shirts in stores or do i have to order online? A: Yes, but not as much any more.. too many other copy-cat companies in Buffalo have flooded the market. You will NOT find cheaper prices anywhere on official Celebrate Buffalo merchandise. If you have any interest in wholesale rates/distribution, please email us at store@celebratebuffalo.com. Q: how are your shirts sized? A: here is a link to a size chart where you can see how our shirts are cut. 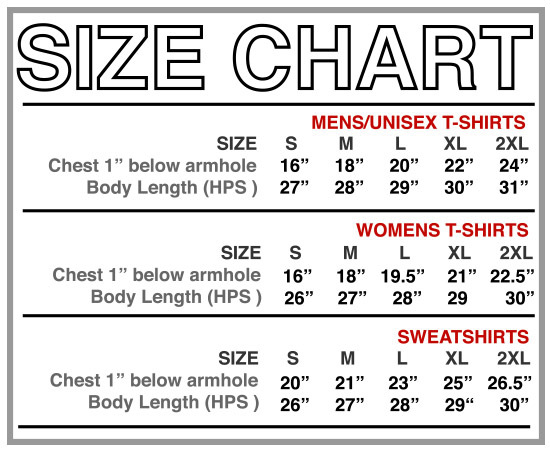 SIZE CHART - If you don't know what size you wear, order a size larger than you think.. especially in the ladies cut tees..
A: Here are step by step guides how to check out. TO PAY AS A GUEST. 2. click "Guest Checkout" under the words NEW CUSTOMER. 3. enter your email, first name, last name, address, city, state, postal code, country, phone number and click "SAVE"
4. your shipping option will automatically be selected for you for the country you are in. 5. you will now be able to click on the paypal link next to the step number "3" - this will redirect you to paypal. 6. on the Paypal screen, you can log in if you have an account, or select "Don't have a Paypal Account" to pay with a credit card. Once Paypal verifies your payment and address, you will have to click Submit or OK and you will be redirected to our store with an order confirmation saying that the payment went through. 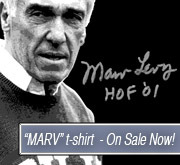 You will also receive an email from us and from paypal that the order has been accepted. 2. click "Already Registered" under the words NEW CUSTOMER or "Create an account" to log in with your existing account or create a new one. 3. your shipping address should come up now.